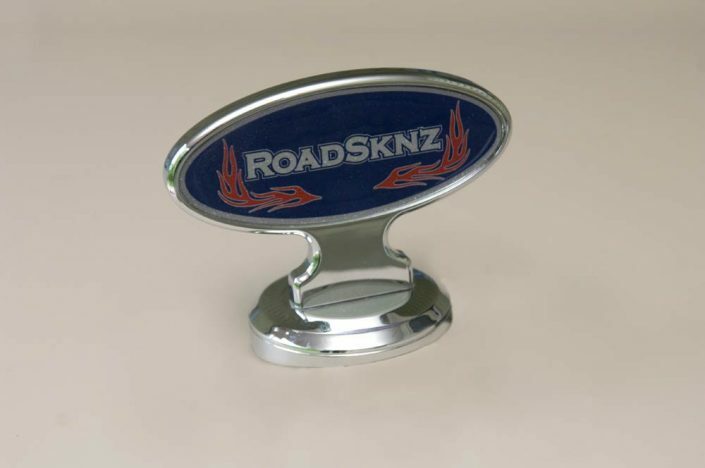 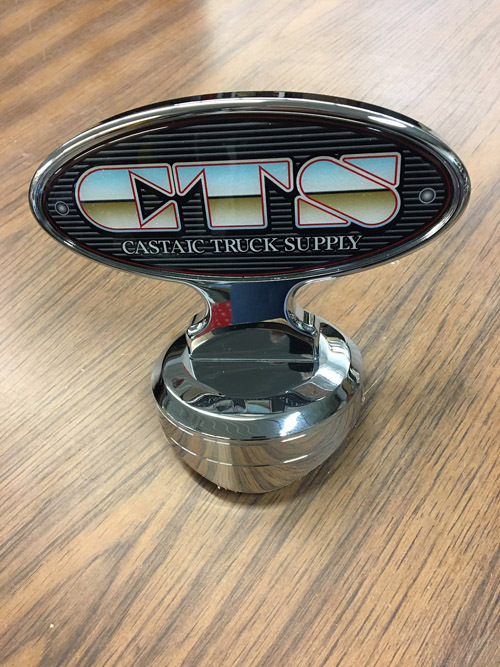 The latest addition to the Roadsknz Accessories line is our new custom design hood pulls for Peterbilt 389 hoods. 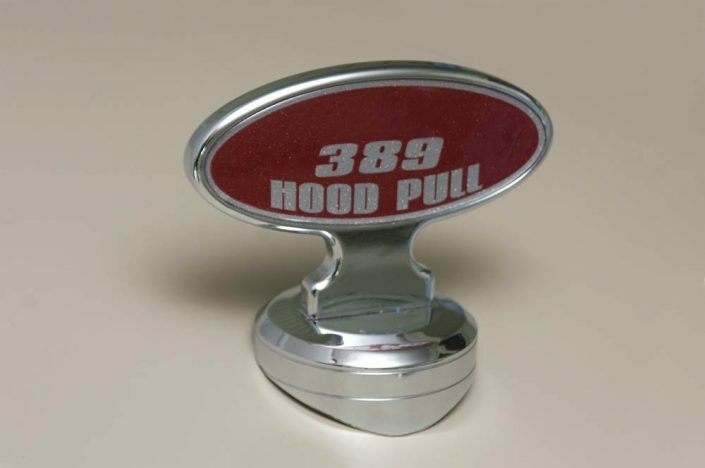 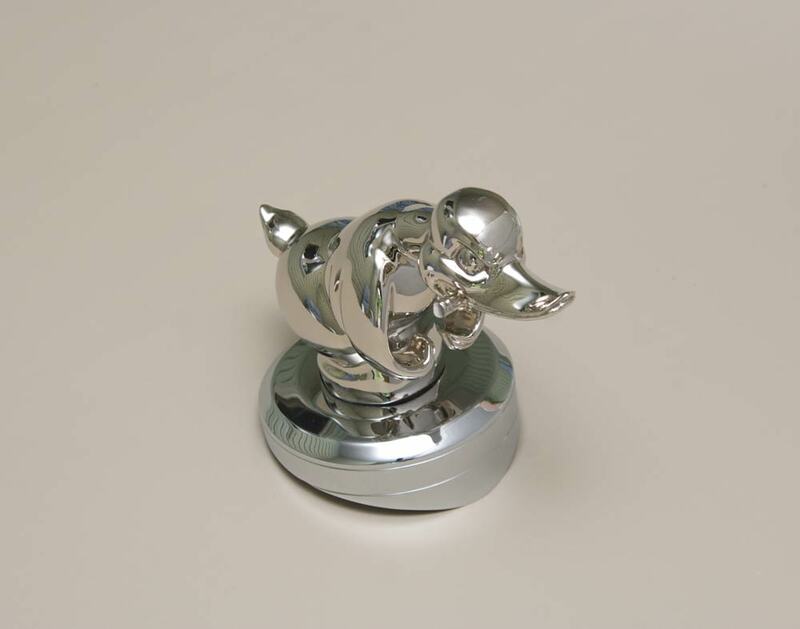 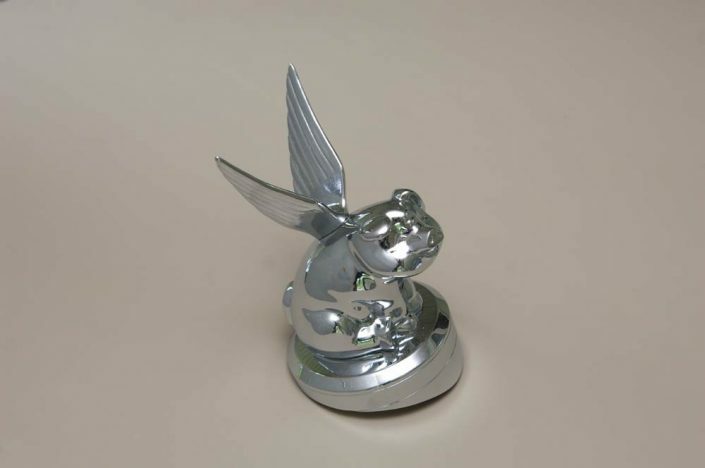 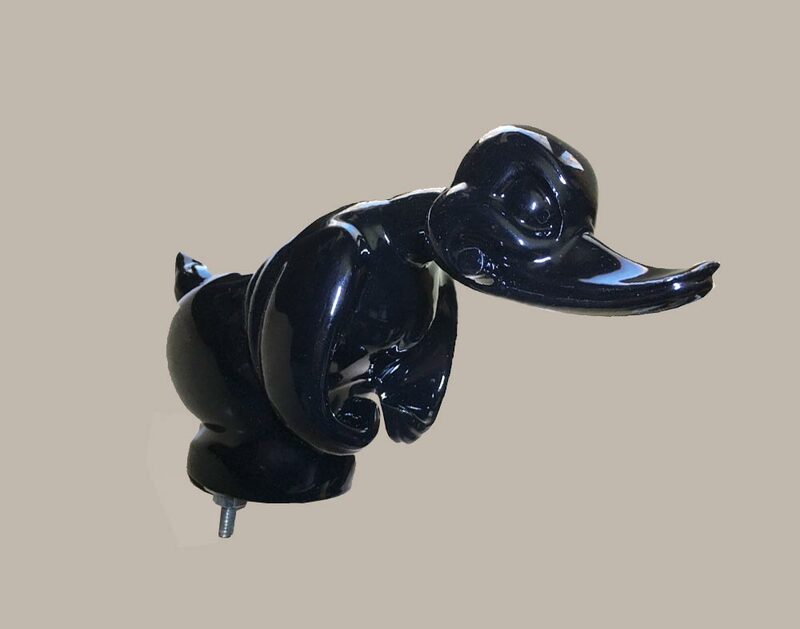 These new hood pull bases are drilled to accommodate your favorite topper. 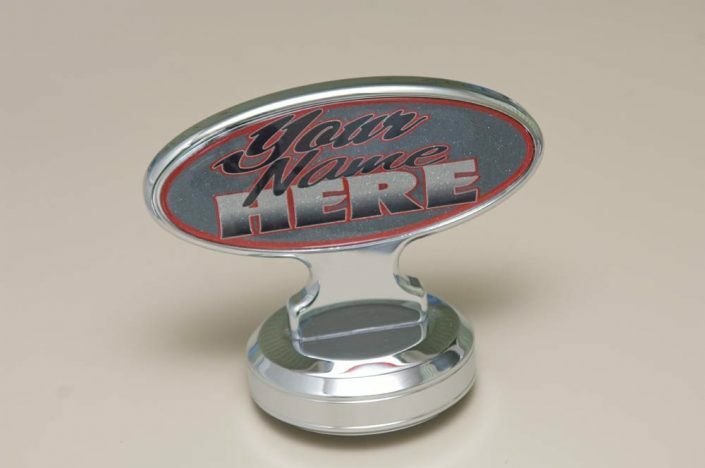 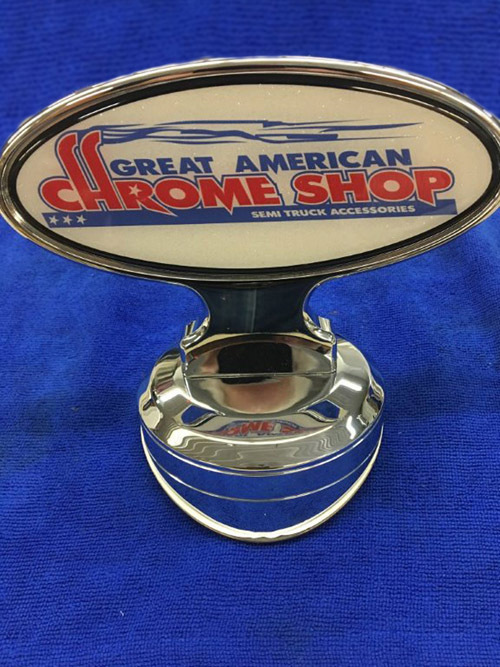 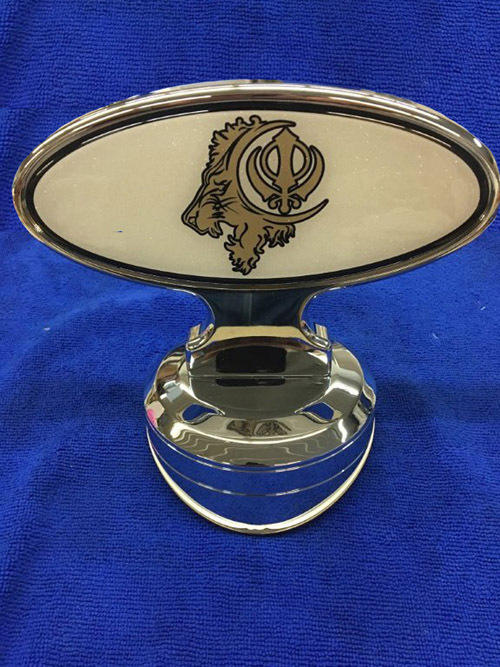 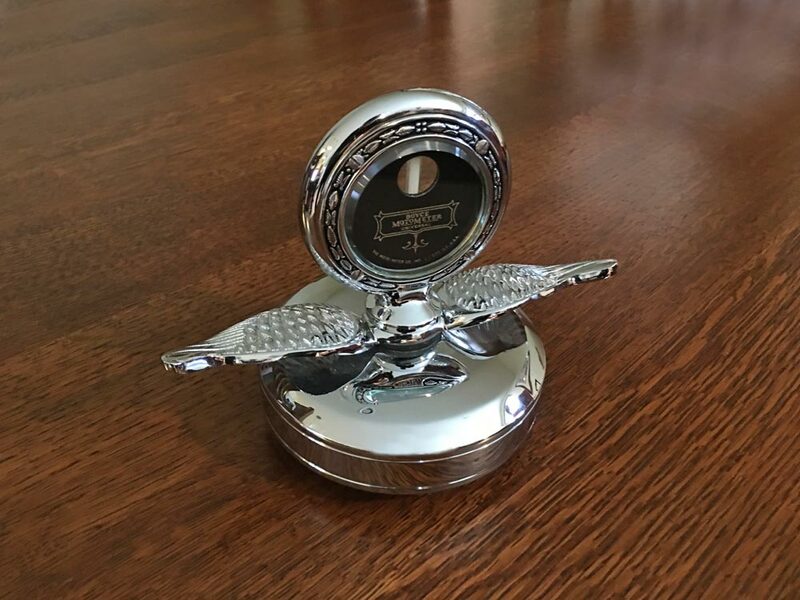 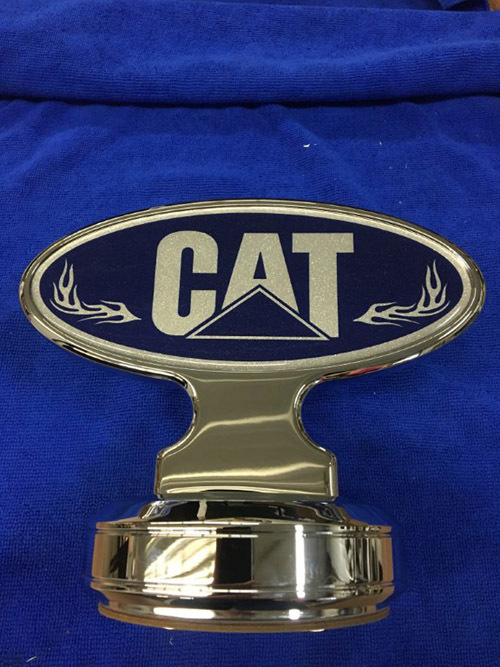 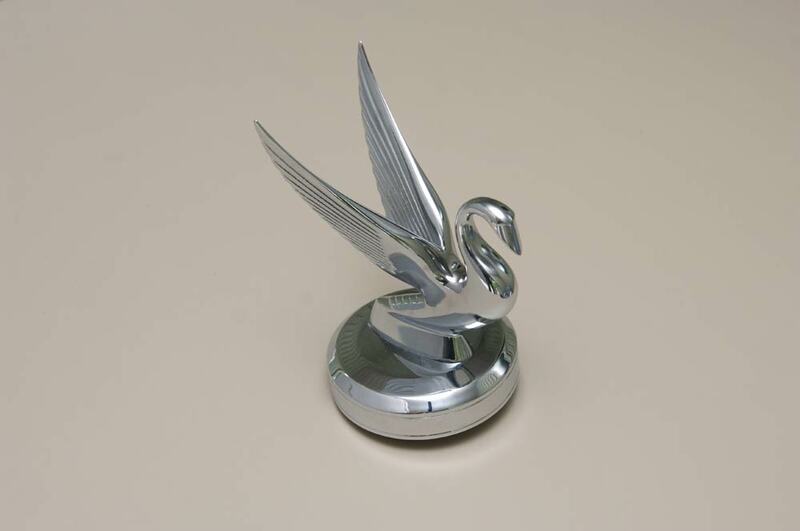 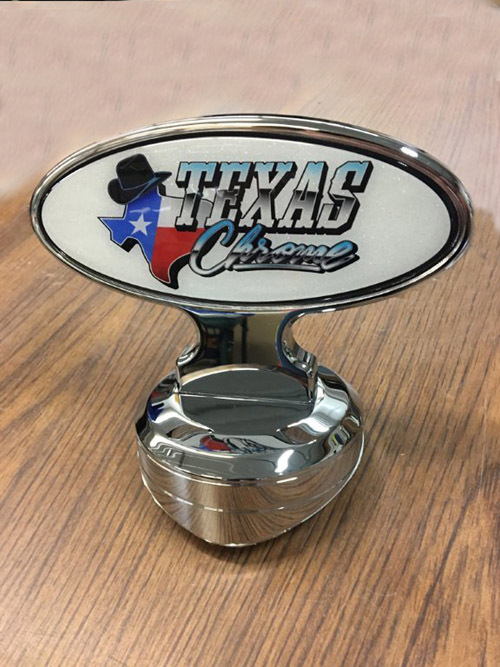 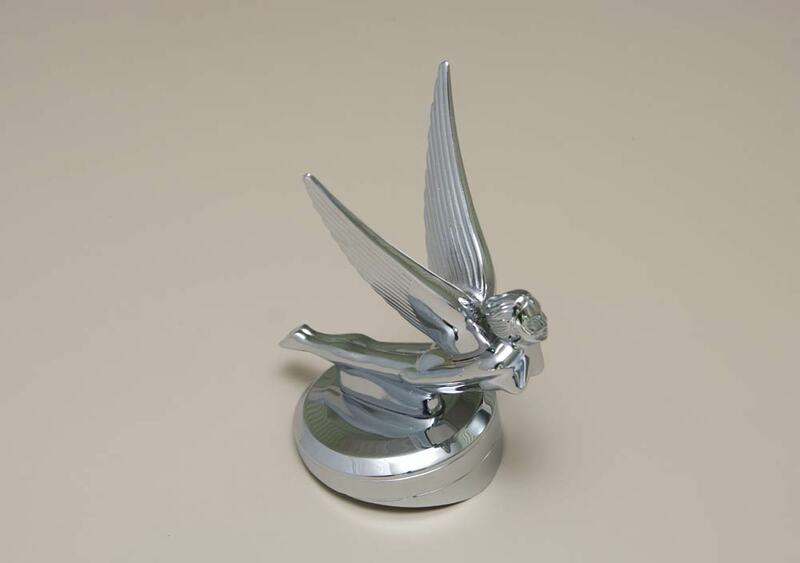 We also offer oval toppers with custom logos in them. 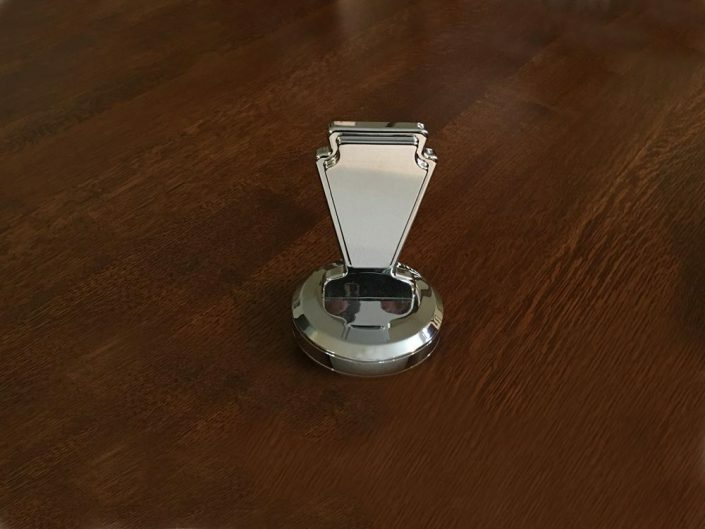 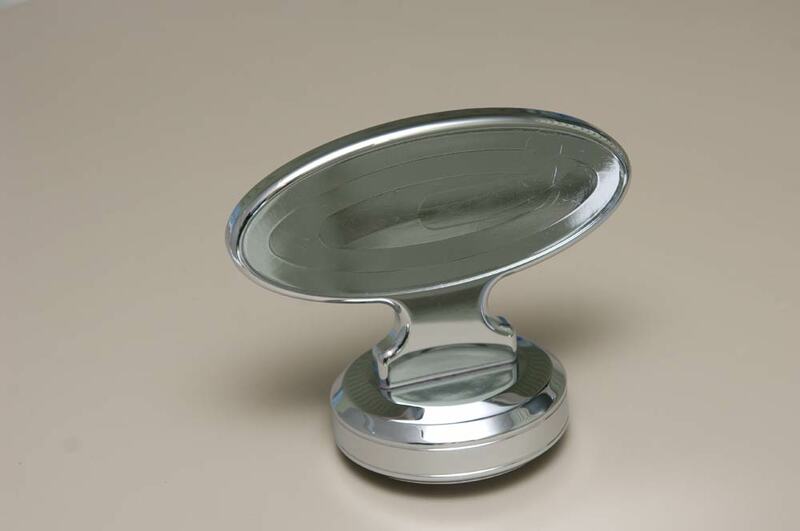 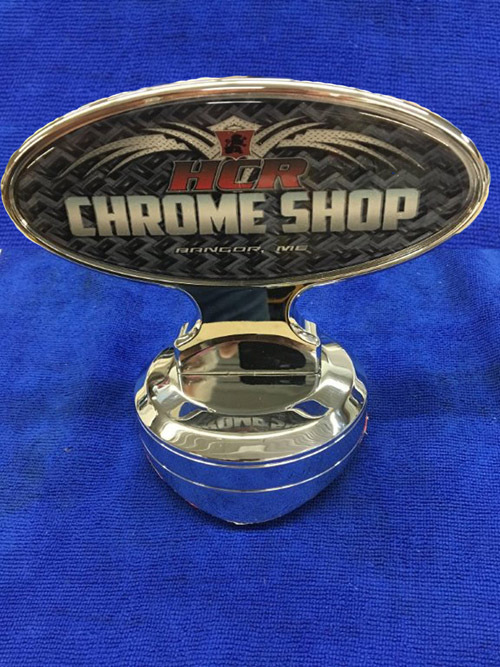 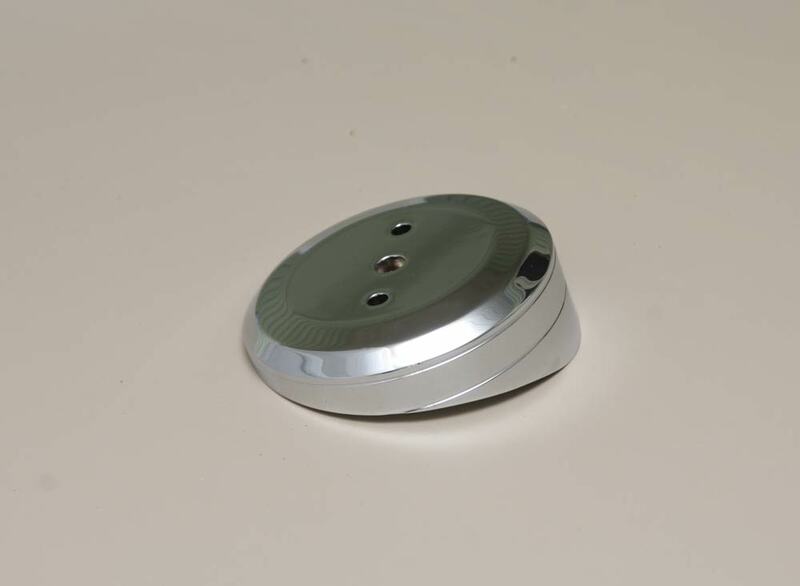 The bases are a great addition to our flat 379 universal which are machined and chrome plated to accommodate the various tops. 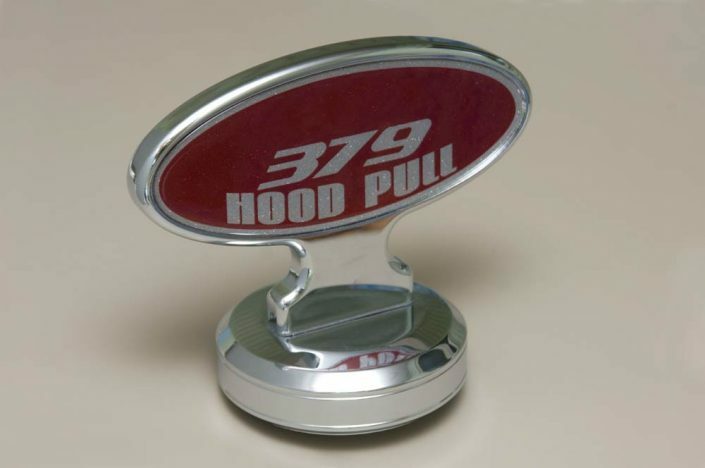 All of our bases include a 3M gasket to prevent corrosion between the base and the hood shroud. 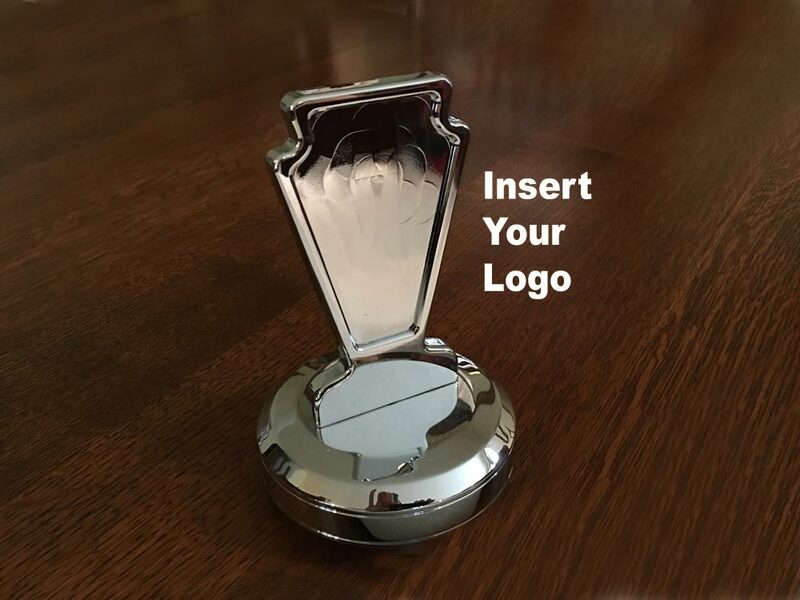 They also come with a drilling template to aid in getting the mounting holes in just the right place.